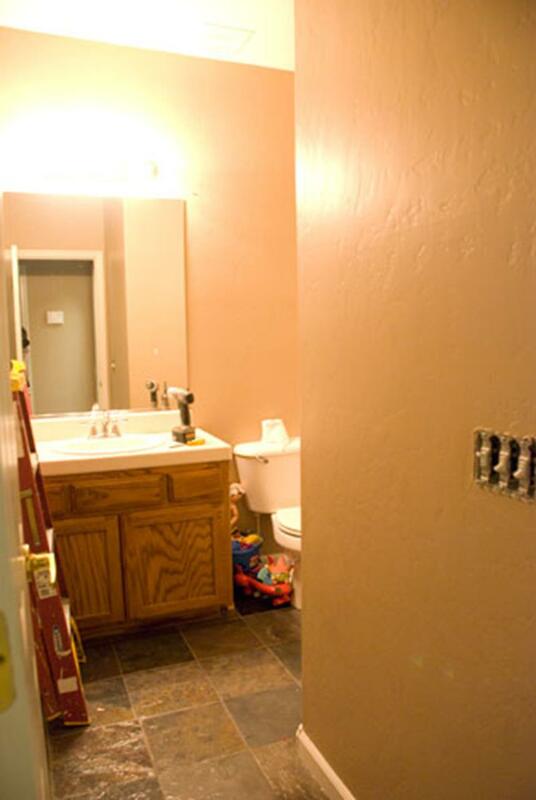 Completely remodeling a bathroom seems like an expensive proposition. However, if you’ve got big creativity to go along with a small budget, you’ll find that you can accomplish pretty much anything! 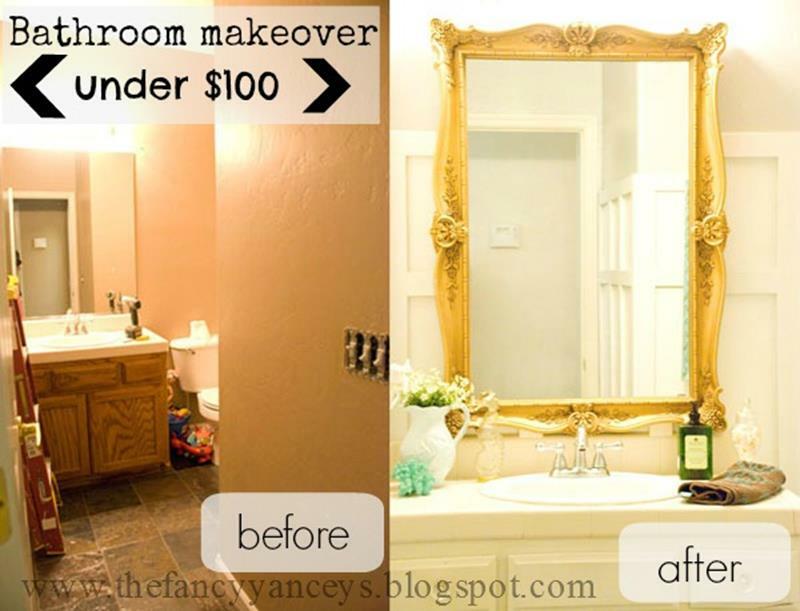 To give you an example, we found this excellent DIY bathroom-remodeling project that was completed and shared by Vintage Romance Style. 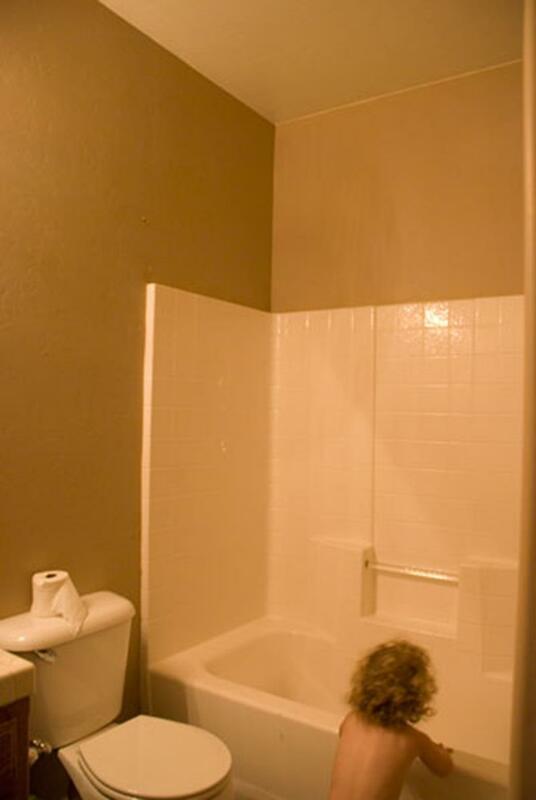 When you see how thoroughly this dingy bathroom has been remade for a budget of less than $100, we think you’ll be duly impressed. Now, let’s see how all of these disparate items came together to give this bathroom a totally new, and completely awesome “shabby chic” look! We think it’s fair to say that the vast majority of homes have bathrooms featuring this utilitarian and tired look. And didn’t you just know that this totally boring and uninspiring shower was going to be around the corner? 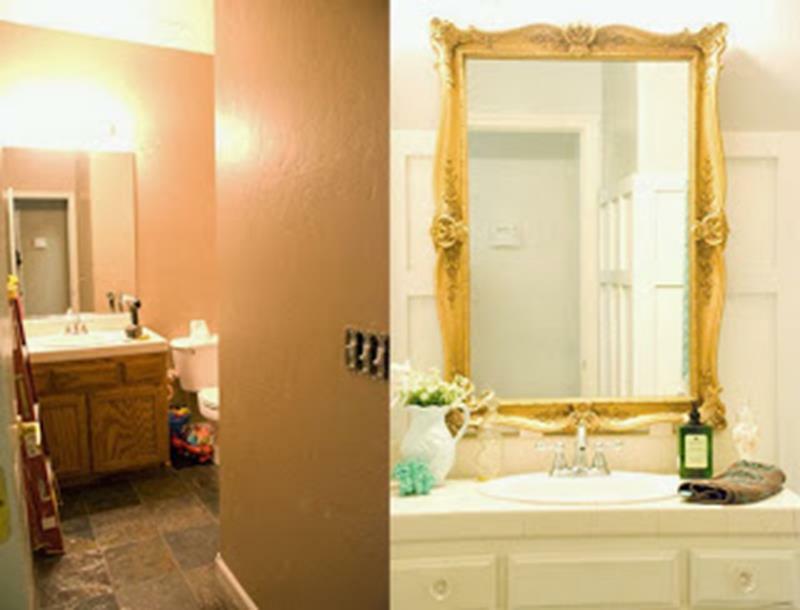 To really add some spark to the space, the old vanity was painted white and crystal knobs were installed.